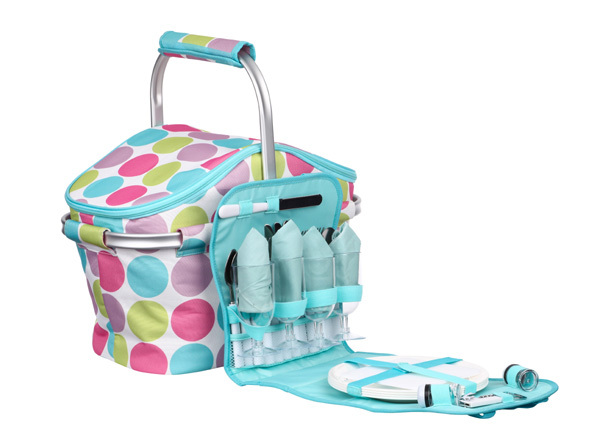 Candy Dot Aluminium Picnic Basket is a family sized picnic hamper. Perfect for summer picnics on the beach or in the park with family and friends, the basket is insulated to keep snacks cooler for longer. 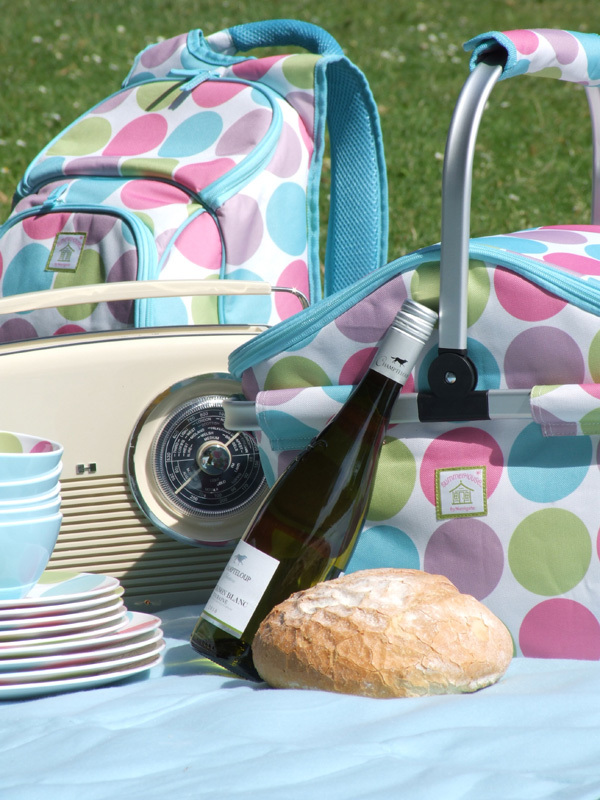 The Candy Dot Aluminium Picnic Basket will help create many happy memories of summer picnics. It also makes the ideal wedding present. 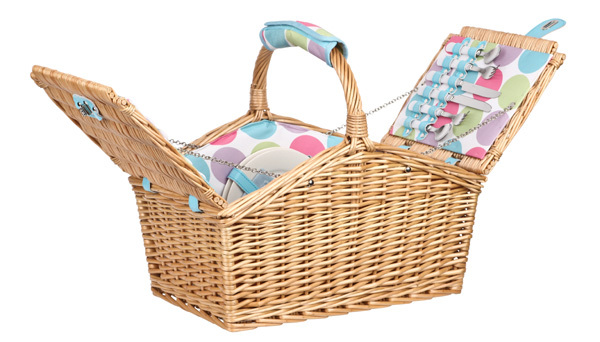 Candy Dot Wicker Picnic Basket is a luxury picnic hamper that comes complete with a four person dining set. A fresh modern take on the traditional hamper, this picnic basket is made of wicker and lined internally with fabric in a contemporary polka dot design. 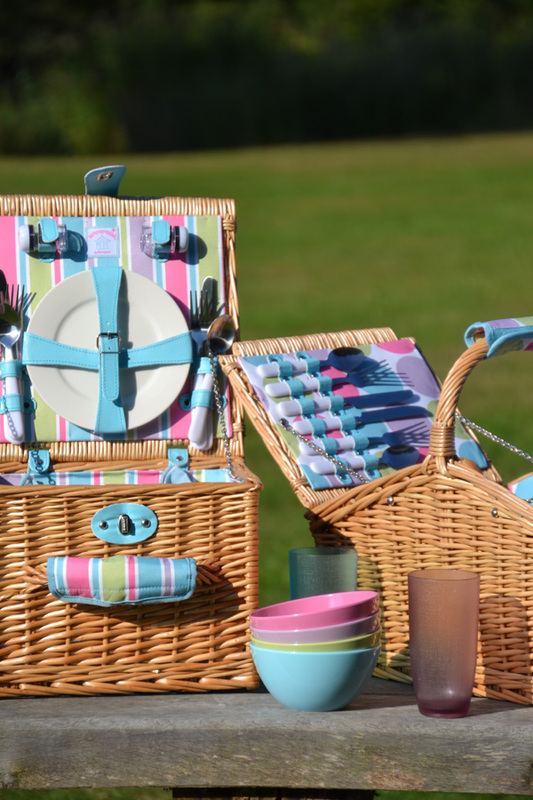 A beautiful hamper to treasure, Candy Dot Picnic Basket also makes the perfect wedding gift. 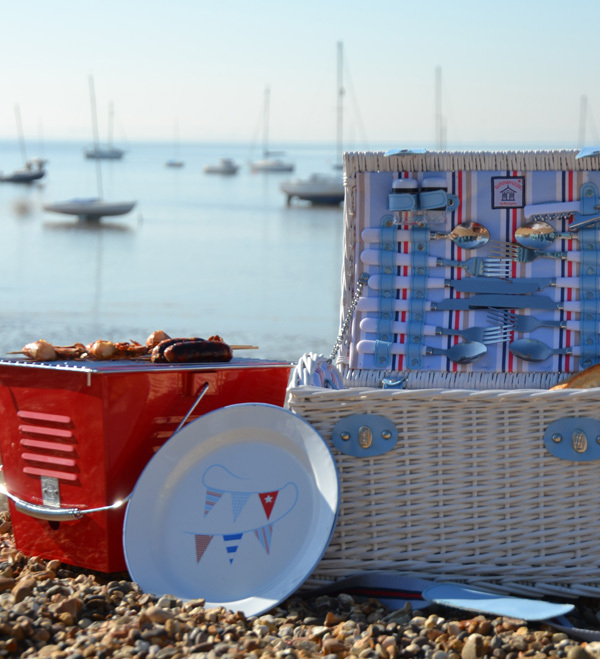 Coastal Portable BBQ with its cool retro style is great for the summertime. 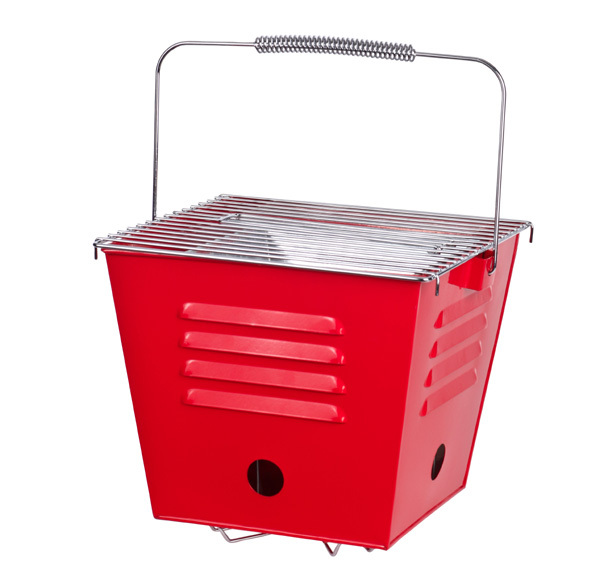 Great for picnics, camping or barbecues in the garden, it’s compact design also makes it ideal for use on a small balcony. And it is perfect for romantic evenings on the beach. The barbecue is just right for putting in the back of your car. And the convenient carry handle will make it easy to carry anywhere to cook and dine al fresco at every opportunity. Simple to use, just fill with charcoal, heat and cook. There’s an inner coal holder so that the outside of the BBQ doesn’t get too hot.